We’re working to change the future of recruiting. Recruiting and hiring is a full contact sport and we are here to help you win it. We're redefining how candidates, high growth startups, recruiters and technology team up to reinvent the recruiting process for everyone involved, helping candidates find the right opportunity and companies hire the right talent, ensuring the best experience for all. 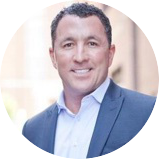 Joe Kosakowski is a seasoned founder and CEO with over 20 years of experience leading his recruiting teams to success. Joe's strong relationships with the most innovative and successful venture capital firms around the country helped him understand the need for getting better talent matches at scale for busy, growing startups. Joe is dedicated to his family and community, giving his time and money to causes like the Tim Tebow Foundation, Make-A-Wish Foundation, American Veterans, and the Boise Rescue Mission. Jeremy Robin is an engineering executive who has spent more than 10 years building and managing software development, engineering operations, and support services for technology companies. Before coming to Talentpair, he was the co-founder and director of engineering at Hitpost, a mobile sports network which was acquired by Yahoo. He is an active participant in the Portland software development community and holds a BS in Computer Science from Dartmouth and an MS from Stanford. When he's not at work or being a dad, he loves whitewater kayaking and playing bluegrass. Cole studied Mathematics at the University of Michigan before venturing into the world of Data Science. He is co-author of Natural Language Processing in Action. Cole believes that the ever evolving space of data science can be a huge boon for social good. He is a lecturer and teaching assistant for Hack Oregon University. Cole enjoys playing Go and finding patterns where none should exist. John sprinkles design magic across all Talentpair interactions and products. John's 20 year career in UX and product design spans both the agency and startup worlds, where he has worked on products like BuddyUp, a social network to help students to find study partners that was listed as one of Portland's most prominent startups. John enjoys creating fonts, curries, and spell casters. As Talentpair’s Product Manager, Matt is responsible for defining and planning all the wonderful features available to our users. Matt is driven by empathetic communication, clarity of requirements, and providing delightful (and valuable) experiences to all. He’s a horology hobbyist, a proud father, and loves photography. Dan previously worked at Veelo (née Mobilepaks). As one of the early engineering team members at Talentpair, Dan is the resident office Git wizard who continues to build the future of Talentpair as Technical Lead. He enjoys traveling, small airplanes, and Dungeons & Dragons. Dan has an M.A. in History and was an accountant in a past career. Aaron is a recent graduate of WSU with a B.S. in Computer Science with Honors. As a Machine Learning research assistant in school, he studied deep neural networks in distributed systems. Aaron joined the team after being matched with our open Software Engineering job on Talentpair. Aaron travels with his own ping-pong paddle and case, and is always up for a game. Jonathan recently completed a Ph.D in Physics at the University of Oregon, and transitioned into machine learning and data science. He really enjoys figuring out how systems work and applying the right algorithm for the problem at hand. When not working on neural networks, Jonathan spends his time with his wife and cat, and reading through his enormous pile of science fiction novels. Eric was a full-stack engineer for Klaviyo, a Boston-based ecommerce marketing insights startup, before moving to the Pacific NW and joining Talentpair. He has also worked in edTech for Harvard University and the Educational Development Center in Massachusetts. After solving the hiring process, Eric hopes Talentpair's AI will learn to fold his laundry. At Talentpair, we're building a modern hiring platform. The product you’ll help build and shape gives thousands of companies a new way find and connect with talent.